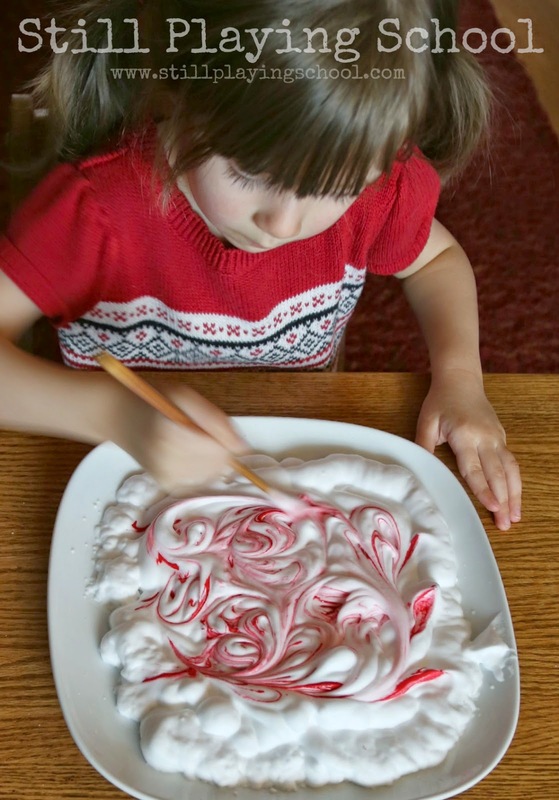 Shaving cream painted peppermints are the perfect craft to spice up our holiday decor! They were so simple and fun to make while handwriting skills. One of our earliest popular posts was our shaving cream painted Easter eggs! Using the same process we made these decorations for Christmas. 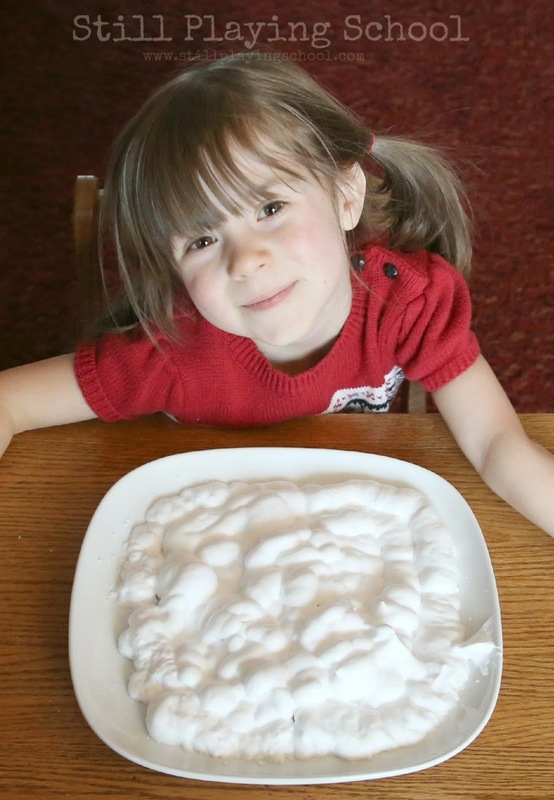 You'll want to begin with a relatively flat surface of foaming shaving cream. We get ours at the dollar store! 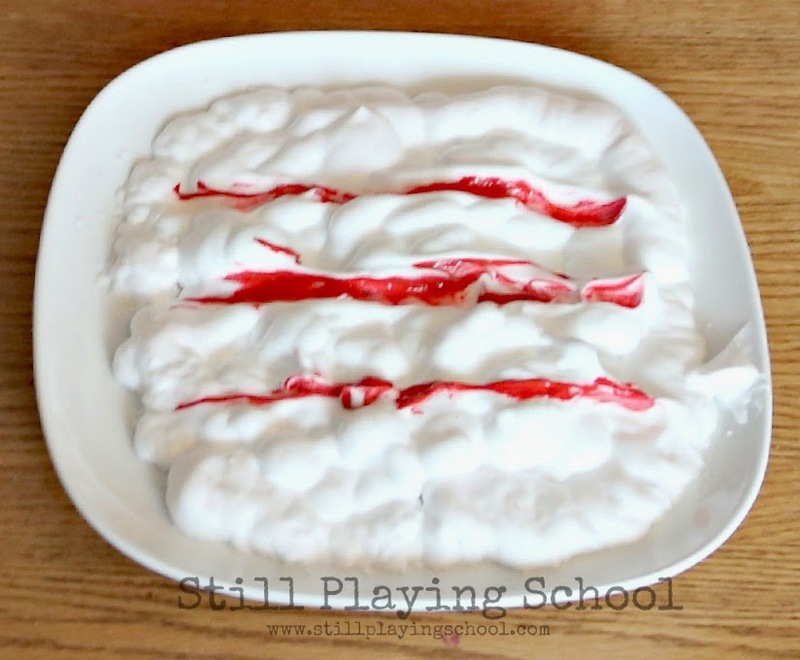 Level out the shaving cream with your hands for sensory fun! 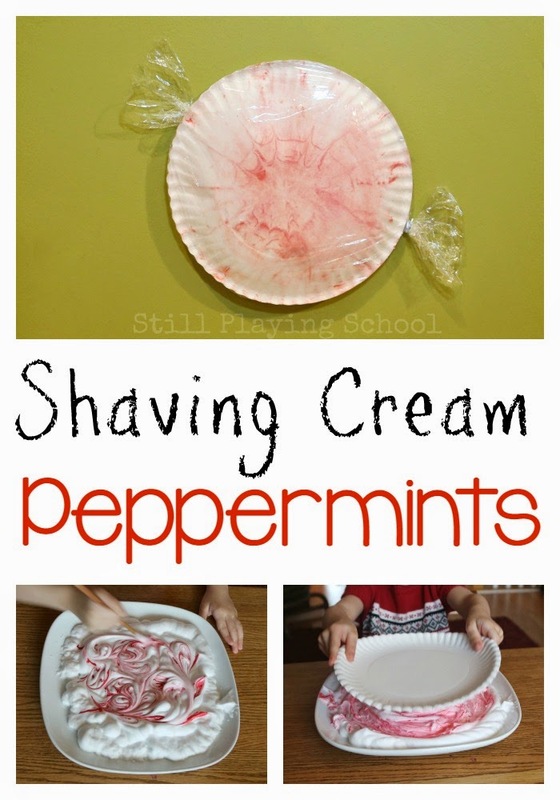 Add red paint to the shaving cream. 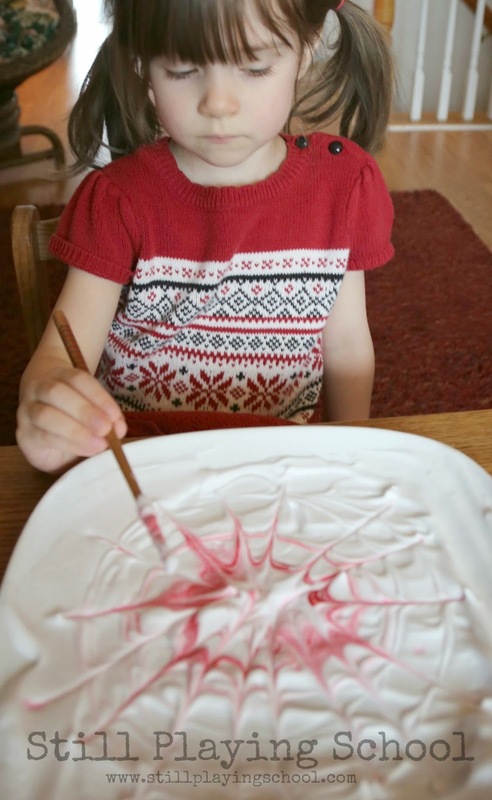 Our preschooler loved swirling the paint with a chopstick. This is fantastic handwriting practice! We tried this with red paint in the middle that we pulled out in spokes "like a spider web," E observed! 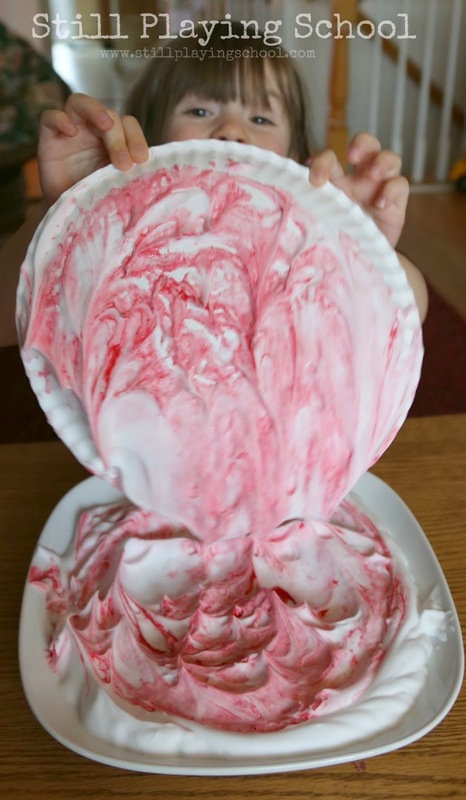 Gently press your paper or paper plates down into the shaving cream paint. Lift up carefully. What a beautiful mess! We love this part because we are still unsure how the final artwork will look. It's a surprise! Squeegee the excess shaving cream off of your paper. The paint will remain. We folded a paper plate to create a sturdy squeegee! 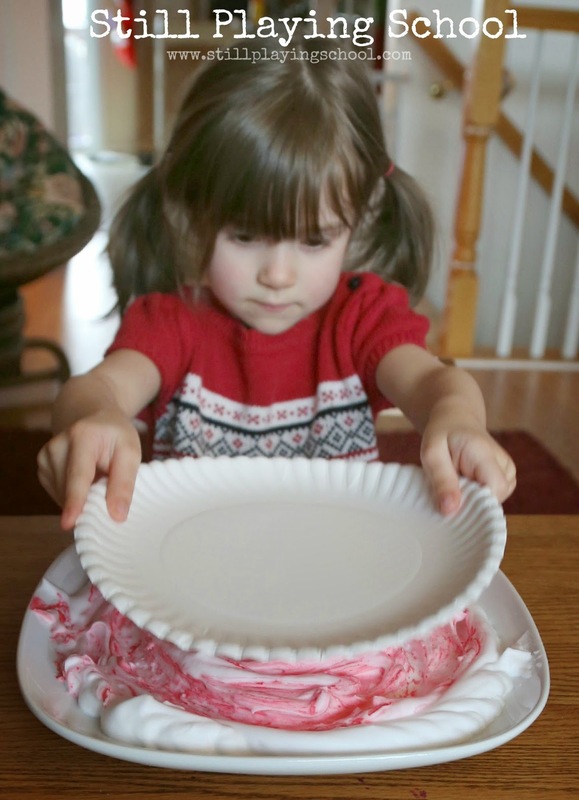 You might have to get the shaving cream off of the rim of the plates with your fingers or a paper towel. 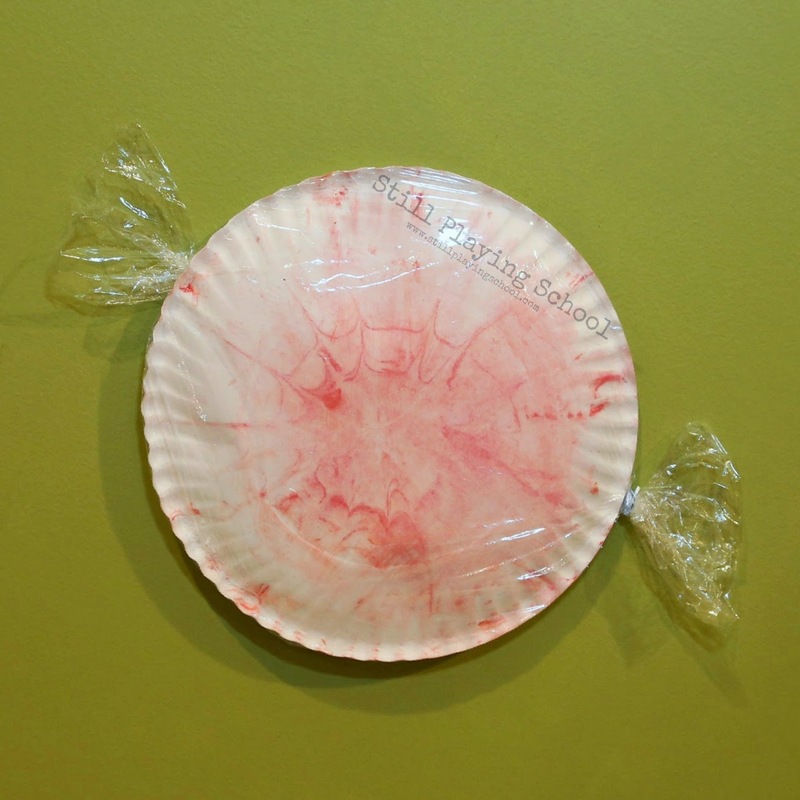 Let the projects dry (it doesn't take long) then wrap the paper plates in plastic wrap to look like peppermint candies! These would be the perfect project for a classroom Christmas party. 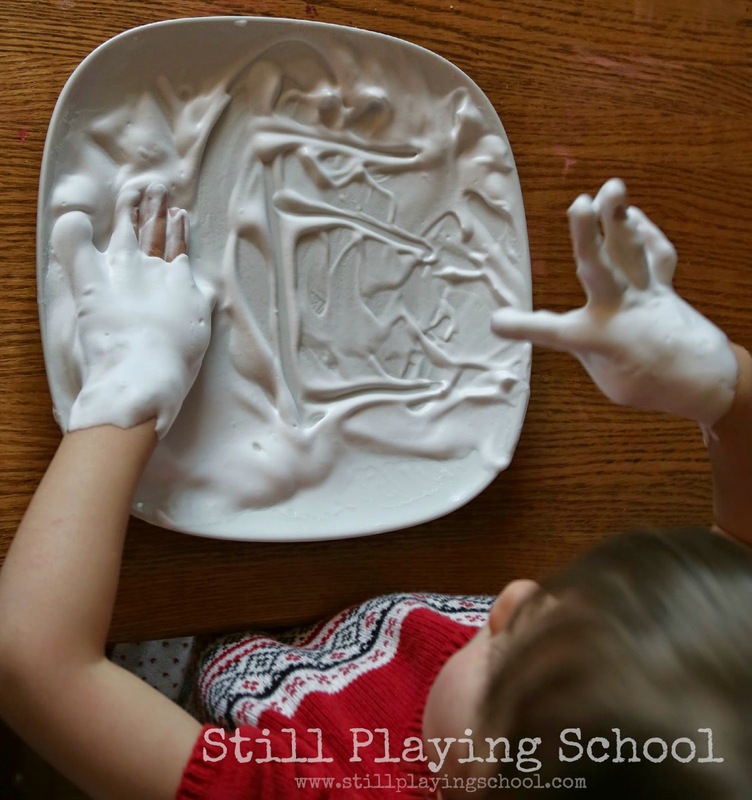 Of course, E requested a non-painted plate of shaving cream for sensory play! She practiced writing in it, too. How fun! 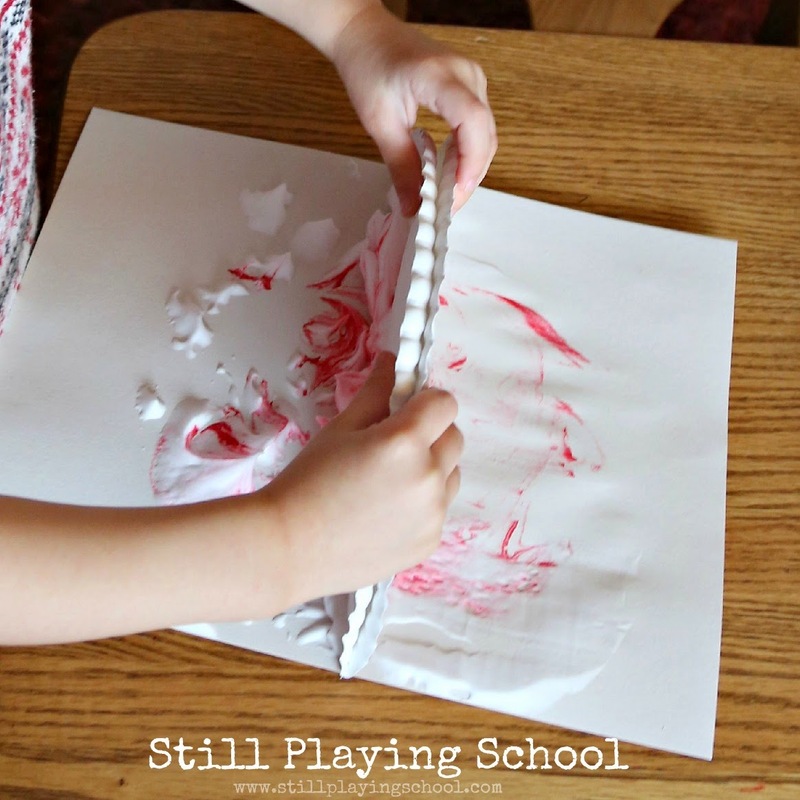 We've never tried painting with shaving cream but maybe it's time to try!